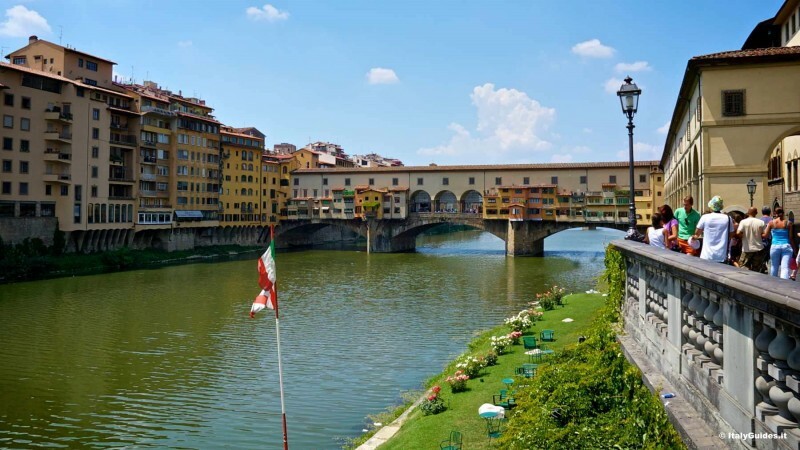 The famous Ponte Vecchio of Florence was built in 1345 to cross the Arno at its narrowest point. 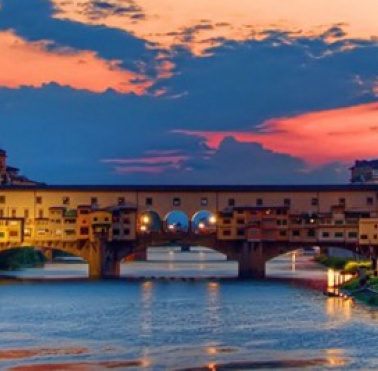 Since then, the Ponte Vecchio has resisted numerous challenges, including mines of the Nazis in 1944 and the flooding of Florence in 1966. 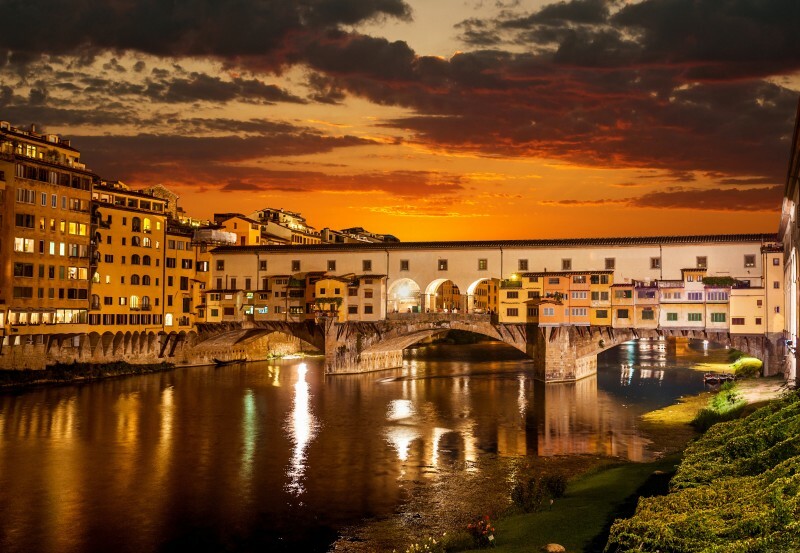 Ponte Vecchio is not simply a bridge but a reference point for the city of Florence. 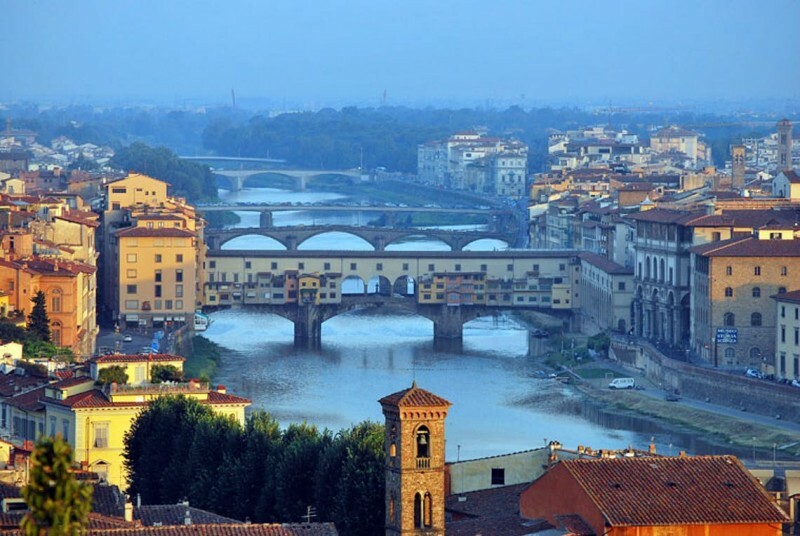 In fact, compared to other bridges in Florence is characterized by its artisan shops that give it a very unique appearance. 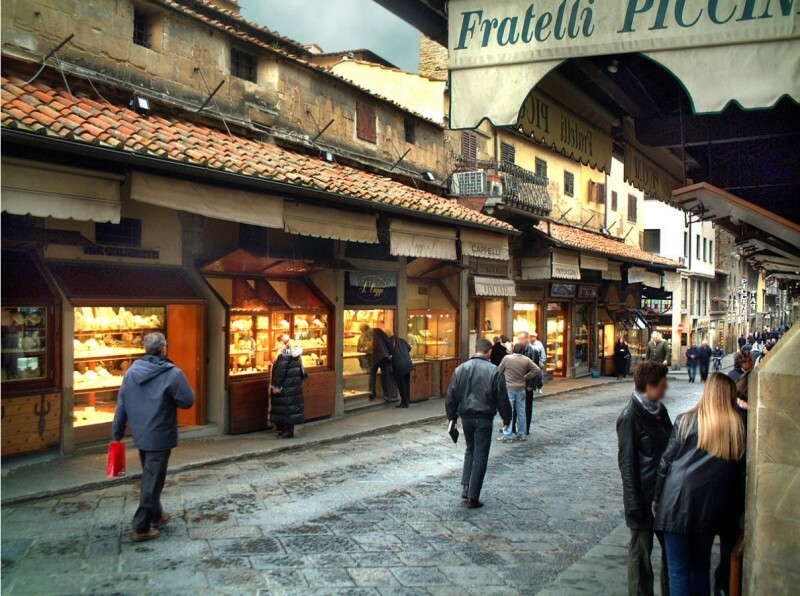 Until the end of the 16th century, the typical shops housed butchers and vegetables. 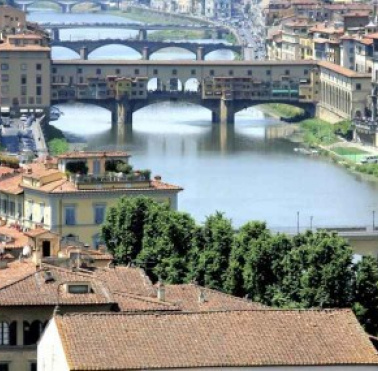 During those years, however, these activities were considered indecorous, even after the embellishment obtained with the Vasari Corridor. 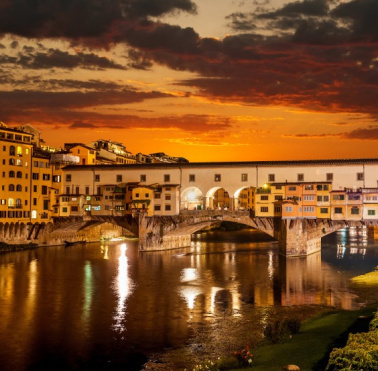 By decree of the Grand Duke of Florence the shops of the Ponte Vecchio were assigned to goldsmiths and silversmiths, who, starting from the 1700s made it even more typical thanks to their projecting windows, the so-called 'madielle'. 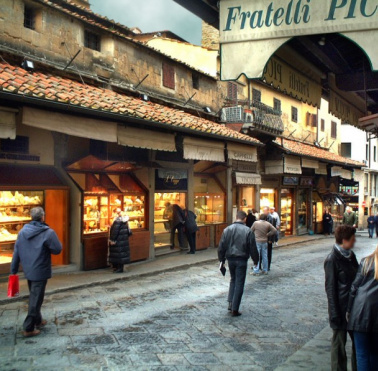 Even today, Ponte Vecchio houses the goldsmith shops of Florence and has become a real reference point for the city of Florence. 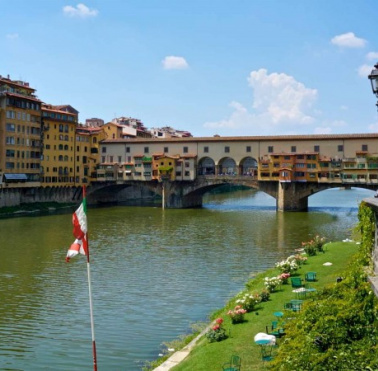 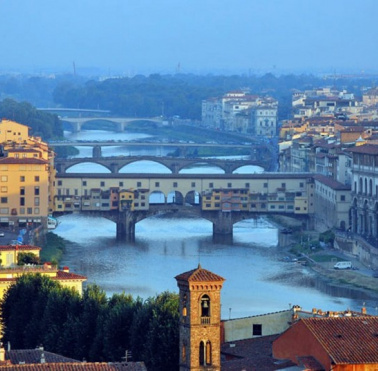 From it you can admire the river Arno with its many bridges and in general have a splendid view of Florence.